Home care equipment includes the essential tools that make life easier for our home care clients. Some equipment is primarily for safety while other kinds aid in performing everyday activities. Sometimes this equipment is a necessity that must be available at any cost. All Heart Home Care makes it more affordable and convenient for our clients who receive home care in San Diego and who need to purchase home care equipment they can rely on for their in-home care. We understand the challenges that you or your loved one face. Our wide selection of home care equipment will help you maintain your independence and feel comfortable and safe in your home. Every client who receives home care has a unique set of needs.  Let us help you choose the equipment that is right for your loved one’s needs. Many clients receive home care in San Diego after hospitalization. Our agency will work with the professionals overseeing your care to get your home ready for you. We will personally order and deliver the medical equipment ordered by your doctor and deliver it to your home. This will make the transition much easier for you or your loved one once they are back at home. Most medical equipment orders are delivered within 48 hours. Once it arrives, we will follow-up your delivery to ensure you are satisfied with the equipment we have provided. All Heart Home Care will also provide training to you and our caregiver on how to use the equipment safely and to maintain its care.